"He was so caring! So glad I chose him!" "Dr. Papas has been my physician for two decades and has taken terrific care of me." 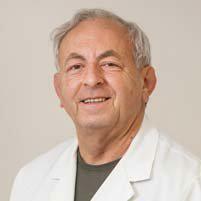 Dr. George Papas is recognized as a leading primary care doctor in San Diego and throughout Southern California. At his state-of-the-art facility in San Diego's University Heights neighborhood, Dr. Papas is committed to offering patients of all ages the individual attention they need to ensure their health and medical needs are properly met. In private practice since 1982, Dr. Papas is experienced in diagnosing and managing a broad array of both acute and chronic medical conditions. In addition to routine physical exams and preventive care visits, Dr. Papas helps patients with chronic medical issues like cardiovascular disease, diabetes, high blood pressure, high cholesterol and chronic pain get the care they need to enjoy optimal health and wellness. He is also experienced in treating acute illnesses and medical conditions, and in performing in-depth assessments and evaluations to identify and modify risk factors to help patients avoid serious diseases at every age. At his solo practice, Dr. Papas is widely known for the added attention and care he offers each patient, striving to provide a relaxed, family-friendly atmosphere that incorporates state-of-the-art medical equipment and technological advances like electronic patient records and electronic prescribing for added convenience. After completing his undergraduate degree at Carnegie Mellon University in Pittsburgh, Dr. Papas earned his medical degree at University of Chicago's Pritzker School of Medicine and completed his residency in internal medicine at Michael Reese Hospital and Medical Center in Chicago. Today, he remains dedicated to learning new techniques and technology so his patients can feel confident they're receiving the safest, most effective, most appropriate and advanced care available. Dr. Papas maintains an affiliation with Scripps Mercy Hospital, where he served as chief of the family practice section for many years. He accepts all major forms of insurance and speaks both English and Spanish. We provide a friendly atmosphere where you will get personalized care for your individual needs. Dr. Papas and team are experienced in treating all ages and different types of medical problems. They utilize the newest technology which allows them to make your visit easy and convienent. We accept most major insurance plans including HMO, PPO, Tricare, and Medicare. Please contact our office if you have any questions. "He caught a condition that somehow escaped all of my previous doctors, and his knowledge is what helped me solve this issue that has plagued me for years." "Dr. Papas has treated my family for the past 17 years. He has consistently provided excellent diagnosis and the time to answer questions. His attitude is commendable." "I thought dr. papas was really helpful. I was diagnosed with a kidney infection and he was incredibly helpful and kind."